We are pleased to announce that Recarta has just been awarded the prestigious status of Gold Partner by Lenovo. 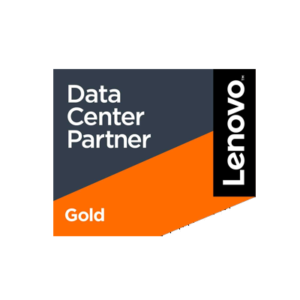 The Lenovo Gold Partner status gives us the platform for us to deliver a high level of solutions and technology to new and existing clients. It demonstrates the added training and investment we have made across our sales and technical teams to achieve this status. Recarta have been following Lenovo’s progress closely since the purchase of its x86 business from IBM back in 2014. Lenovo have made some great headway over the past 12 months – and are building some good momentum with clients following an exciting year of announcements. Ultimately we see Lenovo as a good partnership and their portfolio of solutions are covering the wide range of complex requirements we see within our clients.” Lenovos solutions are helping to solve IT Managers questions about getting to a platform and architecture which does not limit flexibility, whilst also making best use of on premises, and public cloud capabilities. Certainly – planning your IT infrastructure over the next few years has never been more important with the wide range of integration required whilst making the most of the vast quantities of data available. We feel that our relationship with Lenovo gives us this platform.